Experts from the FOKUS deployed an IoT testbed based on OpenMTC platform at III Taiwan. 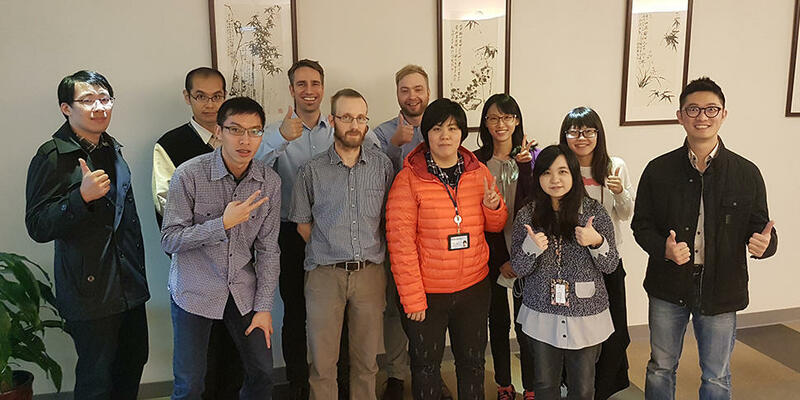 Within the three days on-site visit a tutorial was given that covered OneM2M standard introduction as well as an overview of OpenMTC platform with practical examples to get hands-on experiences. With the OneM2M standard compliant platform III Taiwan has the technical foundation to orientate further research activities towards M2M/IoT. The OpenMTC platform aggregates the data of connected sensor and actuator. Additionally the OpenMTC dashboard is able to visualize the status of managed sensors as well as control actuators. Furthermore an interface was integrated which supports vertical handover between Wi-Fi and LTE of gateways that support connection to an managed wireless core network (EPC).